Every year around Australia sports coaches put in a mountain of work getting their athletes into peak condition. Skill work, team strategy, stretching, running, strength training, extra fitness sessions, even monitoring and tracking load. These days coaches from the professional to the amateur and junior level are leaving no stone unturned to get the edge on the competition. There is just one problem. The Christmas break! EP.106 - How Important is Work Rate for Football? Podcast (21 Minutes) - With the AFL and NRL finals in full swing, there are more stats than ever floating around, and stats surrounding work rate and effort are particularly interesting. But how important is work rate for a football team, or does it just mean you are wasting a lot of energy chasing your opponent on defence? Today Durham and Jacob discuss the pros and cons of a high work rate and how to best train in order to make sure your fitness is ready when pre-season starts. Podcast 25 minutes - Welcome to her very first Podcast Senior coach Tennille! Tennille and Durham share their experiences working with elite and junior female athletes while Tennille provides some unique insights into what it’s like being a female coach and athlete. The holidays are here and that means it's time for lazy beach days, sleep-ins, mountains of food and plenty of relaxing. But if you overdo the bad stuff you can say goodbye to the last 48 weeks of awesome progress in the gym or on the field. In the lead up to Christmas follow along as we go through five of the most common pitfalls with holiday training and nutrition and we provide some real, simple to action advice to help you successfully navigate the Christmas period, (have a great time), but stay fit and strong ready to attack 2018. Did you keep fit while you were away? 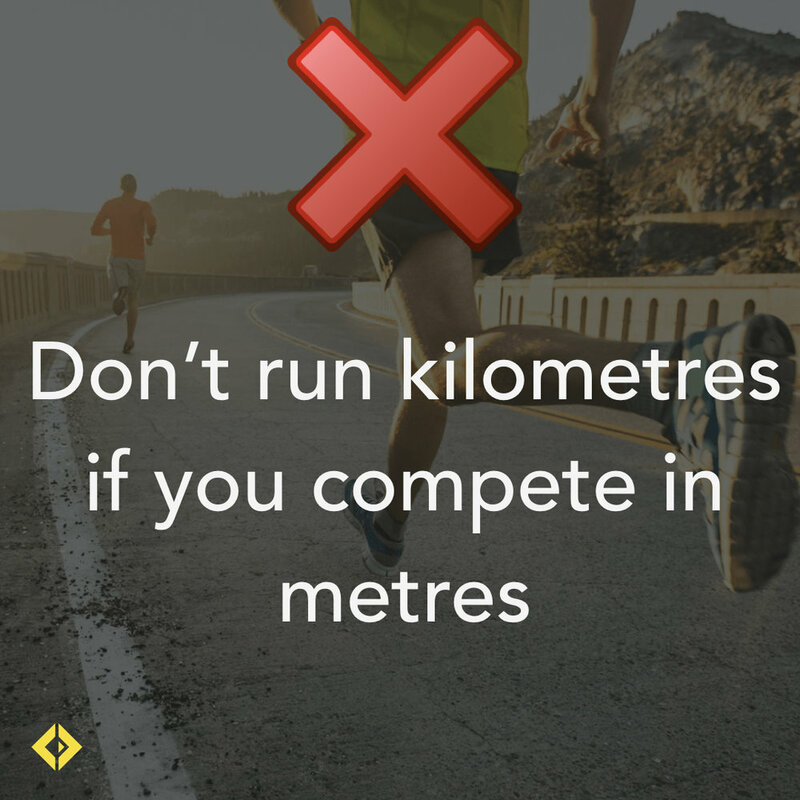 Yep, I went for a 5km run every day. Summer seems to be the time when everyone becomes a distance runner! Team sports are built on strength, power and repeated high-intensity efforts, all of which require high levels of strength, reactivity and anaerobic conditioning. Too much long (400m+)* steady-state running can actually have a negative effect on your explosive power and strength, making you weaker and not all that much fitter. 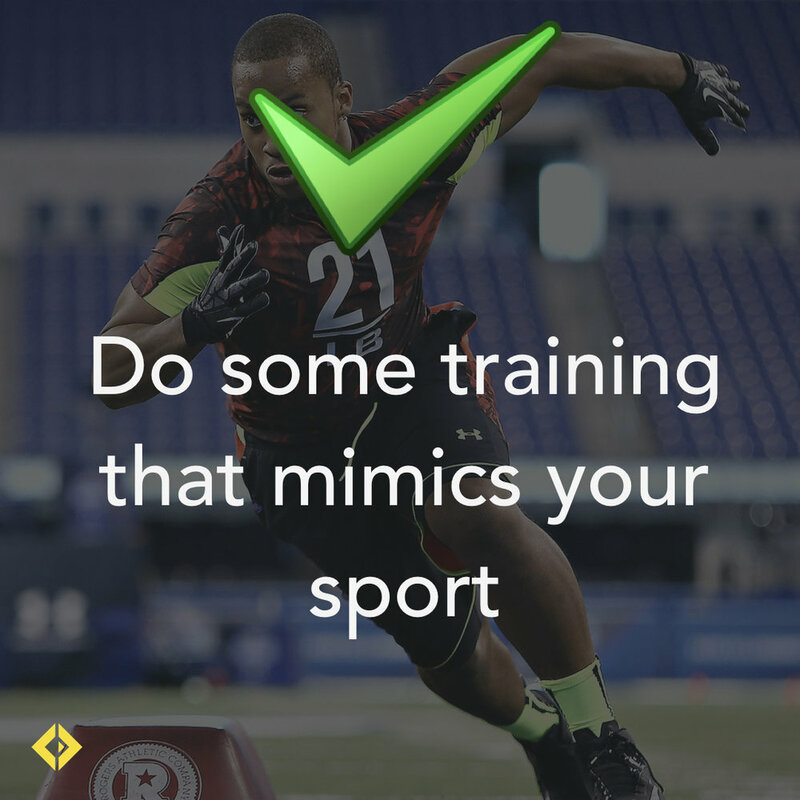 If you play a chaotic ball or team sport that requires sprinting, cutting and jumping then you should do your best to mimic that work in your off-season. That’s why we invented Game Fit, a sports specific workout for athletes to do that challenges the muscle groups, movement patterns and fitness demands of power based sport like football, soccer, basketball, rugby, netball, volleyball and tennis. The holidays and hot weather are a perfect time to get on the couch blast the AC and binge on some Netflix, Playstation, or the cricket. While we are all in favour of this (we will definitely be doing some of the above ourselves), neglecting to do something every day isn’t a very elite idea. Aim to get up from the couch and at least walk around the house, have a quick stretch or do a few squats every hour (during the credits of each episode maybe?). 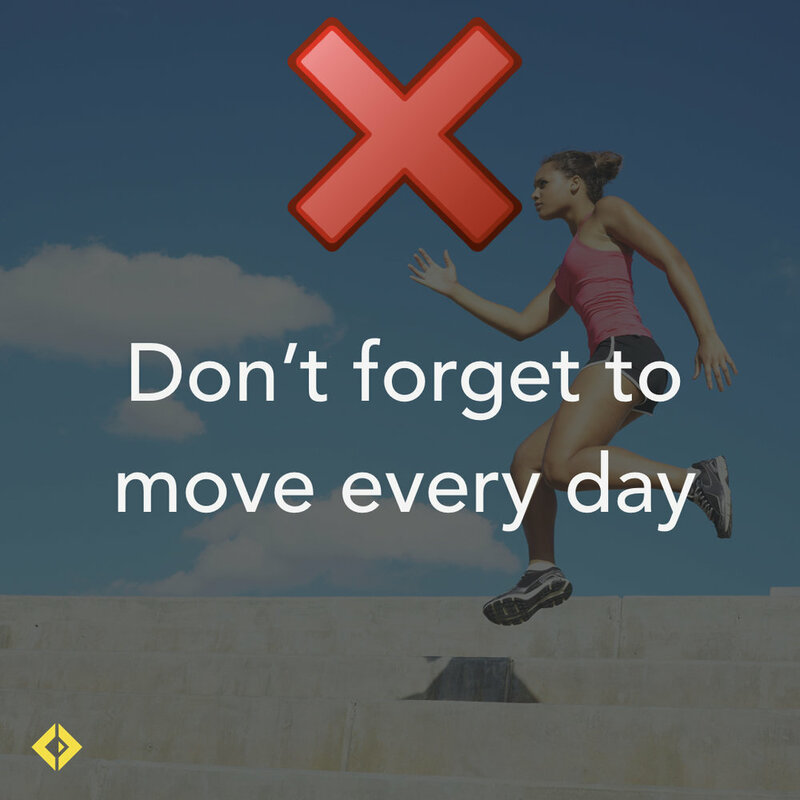 Just aim to move in some way every day. It could be a high-intensity workout like Game Fit, a home bodyweight strength routine, walking the dog, doing a full roll and stretch, or kicking the footy with friends. Whatever it is, make sure you get at least a bit of training or exercise (they are not the same thing) on a minimum of 6/7 days of the week. These anti-desk routines are also perfect anti-couch solutions too. 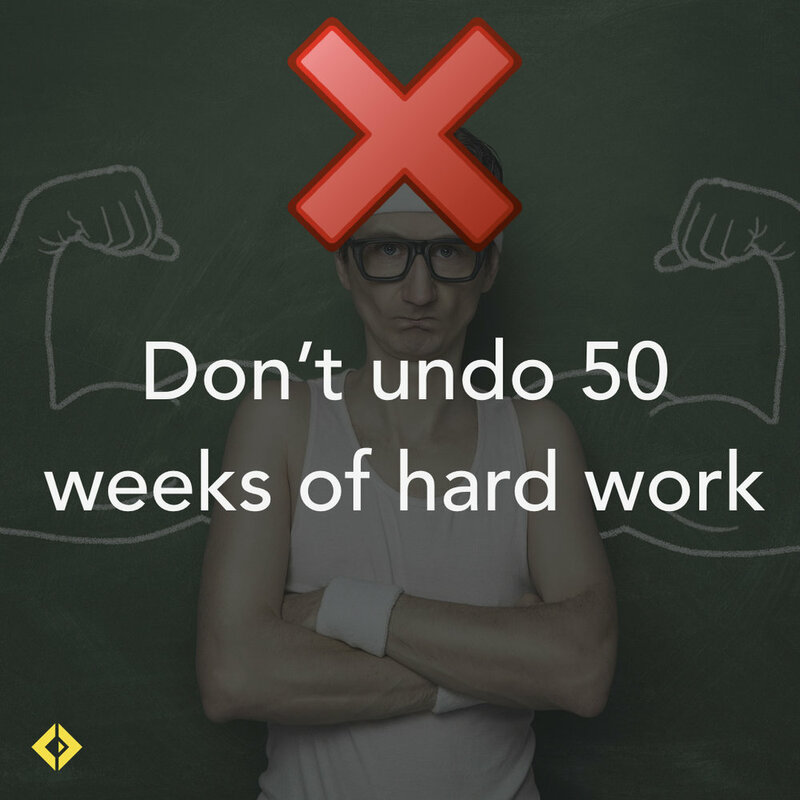 You worked hard for your progress in the gym, every ounce of strength you have accumulated this last eleven and a half months were hard fought and hard won. As soon as you go greater than seven days without strength training your muscles, tendons and nervous system begin to weaken. Sadly, strength training doesn't have as much loyalty to you as you do to it. 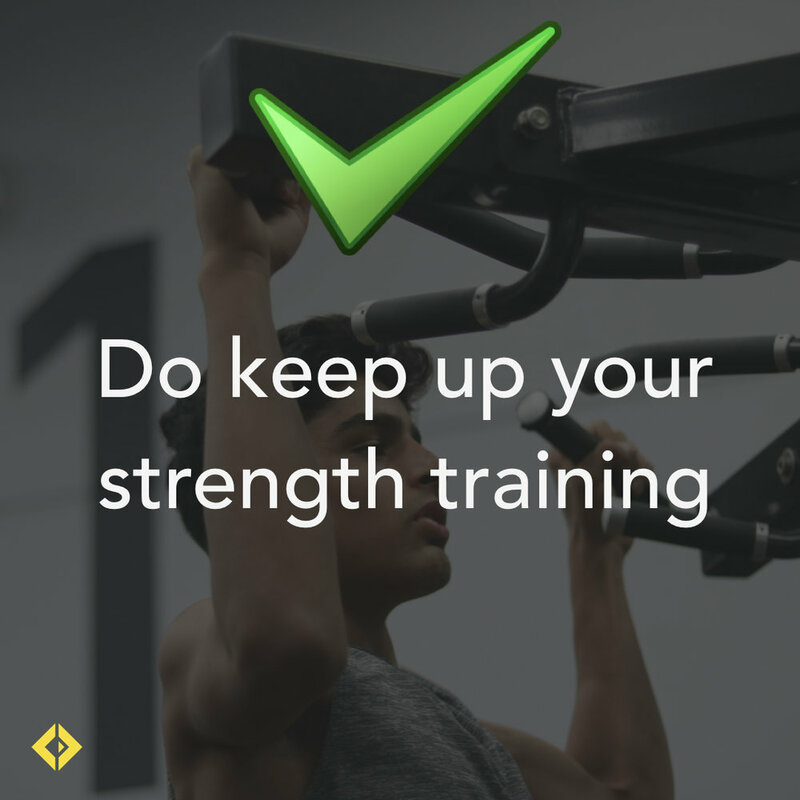 Skip 14-21 days of strength training and you will have lost a huge chunk of the strength you built up over the year, we wish it weren’t true. But it is. The good news is that while progress is tricky without bars, plates, and cable machines, it doesn’t take much to hold your ground and maintain your strength levels over the summer break. 2x 30-minute strength circuits can keep the majority of your body in good working order until you get back into a routine and can get back to the gym. Not perfect, but a lot better than playing X-Box all day long. Every human runs on what is called the circadian rhythm, an internal body clock which helps us fall asleep at night and wake back up in the morning. There are two things that are interesting about this rhythm and both are very important when it comes to teenagers and holidays. 1. Teenagers tend to run in a slightly later rhythm. The reason teens can sleep all day and stay up all night is due to the fact that their natural circadian settings are slightly later than adults or children. This is called a “sleep phase delay” and isn’t as dramatic as a teenager would have you believe. 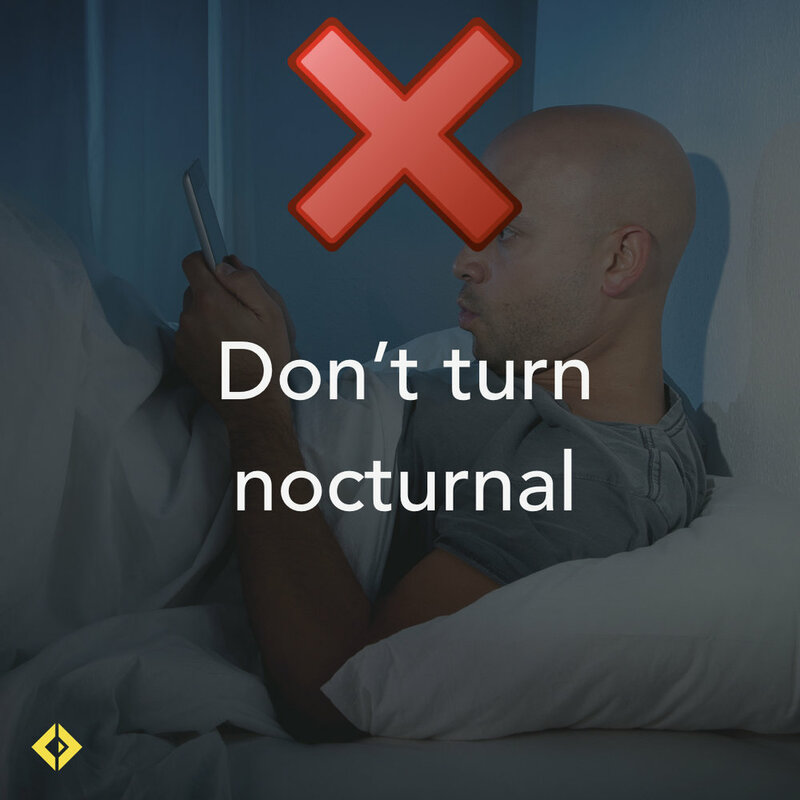 For most people the shift starts anywhere from 10-13 years old and is a change of about 1-2 hours, changing the typical time for sleepiness from 9 pm to 10/11pm. But definitely not 1 am. 2. 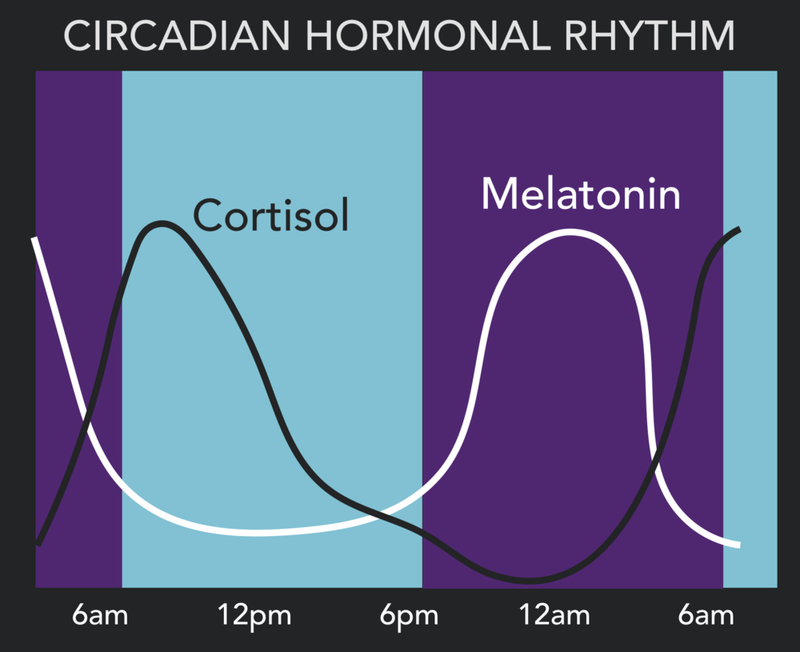 Your Circadian rhythm can be manipulated. While everybody lives in a certain rhythm for sleep and wake, it is possible to adjust or modify this rhythm based on habits and routines. Shift workers can train themselves to sleep during the day and teenagers can train themselves to sleep until 12 pm through poor holiday sleep habits. 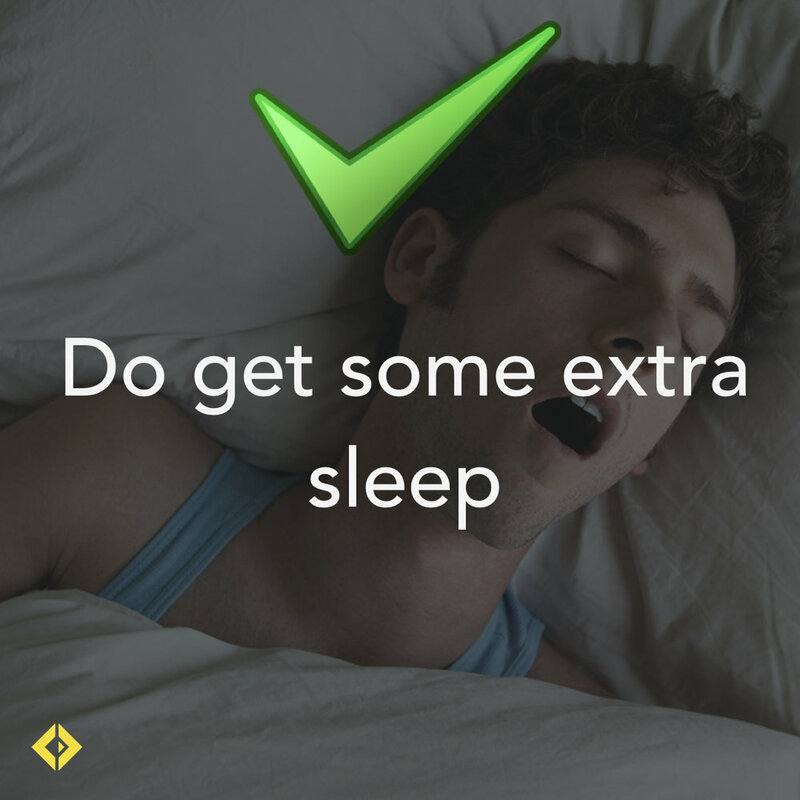 In order to make the most of your restful holidays and not go back to school more tired than when you started, keep your sleep schedule as consistent as possible, that means your bedtime and wake times should stay within 90 minutes of your normal school-time routine. If school lights-out is 9:30 pm, then holiday lights out should be no later than 11 pm. With all the relatives bringing all the desserts and the amazing mains, it’s easy to eat yourself into a food coma that can last until Boxing Day morning. But on Boxing Day you are back to normal(ish). 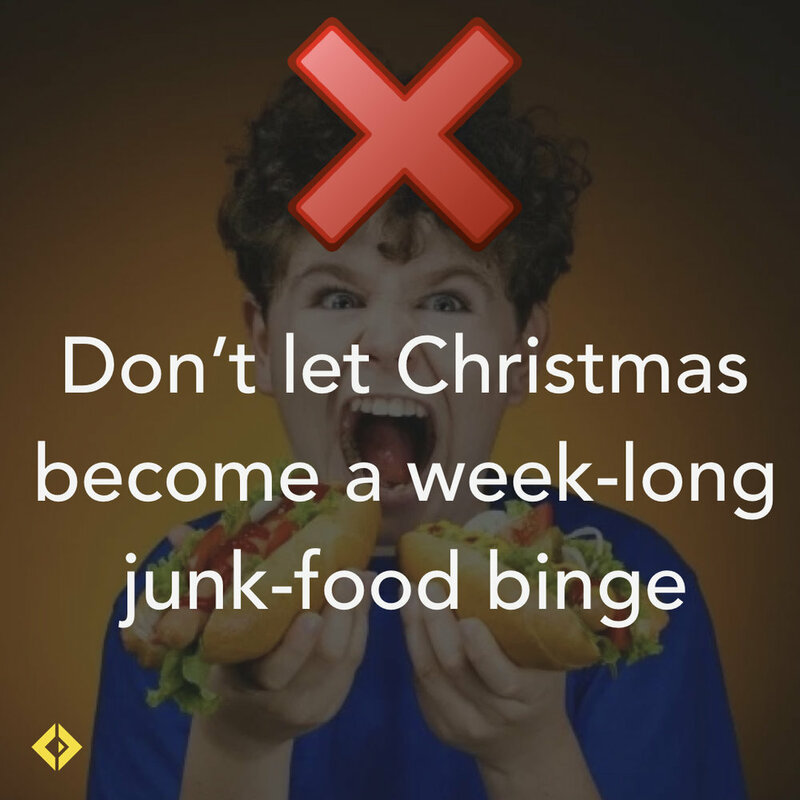 So often people have an indulgent Christmas Day and then decide that they will be healthy again starting from January 1st. One day of delicious indulgence won’t break the fitness bank for most people, but a week of bad eating sure will. 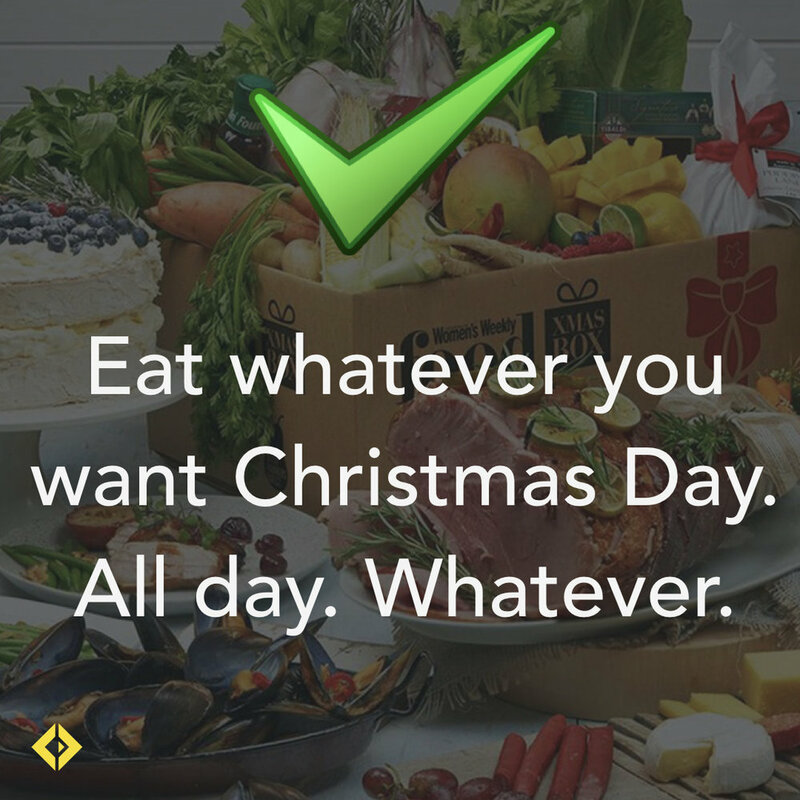 So enjoy Christmas, be merry, have an extra serving of dessert, but you should treat Boxing Day like most people do New Years Day. Train in the morning, eat healthily and reset your focus on crushing your goals for 2018. Durham and Jacob talk all about the benefits of the spin bike (and other forms of unloaded cardio) when it comes to getting extra conditioning for team and ball sport athletes. EP.79 - Saunas: Improve Performance and Live Forever? Podcast 20 Minutes - Sometimes called hyperthermic conditioning, exposure to intense heat (think sauna’s and steam rooms) can have massive health and performance benefits. James and Durham get deep into the weeds on this one. NOTE: Consult a doctor before doing anything described in this article, video, or podcast. Training is 100% the best way to get better. As it gets closer and closer to competition time dialling back your training in order to freshen up and unlock your fitness improvements requires you to dial back the training and dial up the rest. With all tapering, the goal is to allow an athlete more recovery time and space in their week to freshen up and recover for competition because fatigue masks fitness so while it is admirable to want to train and train and train, rest is still a vital part of the equation. You can’t drop to zero training though and become fused with the couch, so what is the best method for staying fit and strong while still allowing some rest and regeneration to occur? EP.68 - Sand, Road, Grass, Treadmill? 28 Minutes - What is the best surface to run on? Running is a great way to train and exercise but the surface you do it on is important and not all surfaces are created equally. EP.65 - Sounds good... but? 25 Minutes - Fitness myths and quotes that seem legit but are actually ridiculous. In this episode, Durham and Jacob talk about some of the motivational fitness quotes they have come across and deconstructed why they aren’t always as accurate as they seem.